Fortunately the signs suggest that Calman has little to worry about. A late comer to comedy, she gave up a successful career in corporate law to become a fulltime stand up despite having never watched a real gig. “The first stand up gig I ever went to was the first one I performed in.” Calman laughs at my incredulous silence. “Yes, I know, again, the stupidity shines through in this entire escapade! I just knew I wanted to be a comedian, whatever that meant. And it seemed that stand up was the way you got into comedy. That’s why I started doing it.” Less than a decade on and this gamble is paying off. Calman is fast gaining recognition as a hugely enjoyable performer, her onstage persona defined by an appealing combination of fiery Glaswegian grit and a mischievous sense of fun. Yet she is also surprisingly versatile performer, appearing in everything from lairy Channel 4 sketch shows to the wryly satirical Radio 4 News Quiz, to BBC 3’s female prison sitcom Dead Boss, alongside one of Calman’s heroes, the inimitable Jennifer Saunders. And it is this pigheaded stubbornness, this admirable resilience, that seems to be the real secret to Calman’s success. In the ever more congested world of stand up, where rewards can be huge but the competition cut-throat, Calman, a 4 foot 11 Glaswegian lesbian with a law degree and real nerve, is a brilliantly distinctive figure. Although keen to cut down on touring so she can spend more time at home with her partner, she remains as driven and ambitious as ever, planning to keep performing and keep writing in the hope to one day have her own sitcom. It’s all pretty impressive from someone who only seven years ago was packing in her job and jumping into the unknown to give comedy a shot. Although she recalls little from her first ever gig, what Calman can remember is simply thinking, “This feels absolutely right!” It’s a sentiment that many punters seeing her latest show will no doubt agree with wholeheartedly. 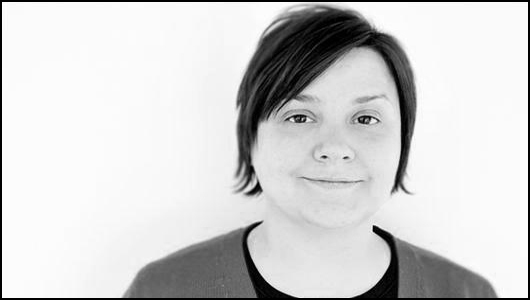 Susan Calman’s ‘This Lady’s Not For Turning Either’ is at Underbelly, 6pm, daily. For tickets, see: edfringe.com.